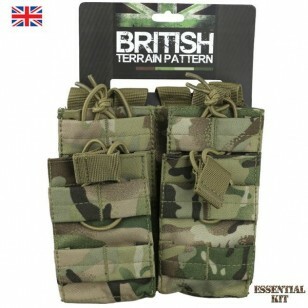 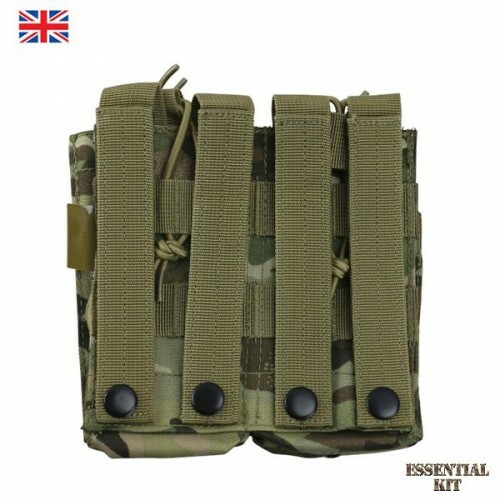 The Single Duo Mag Pouch in BTP (British Terrain Pattern) from Kombat UK is designed to take 2 .. 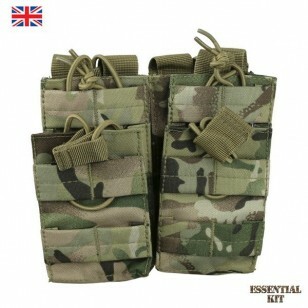 The Duo Double Mag Pouch in BTP (British Terrain Pattern) from Kombat UK is designed to take x4 M4/M16 style magazines. Each Duo pouch is molle backed and compatible with molle assault vests, battle belts and chest rigs as well as many rucksacks. 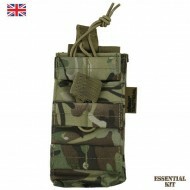 Molle webbing on the front. 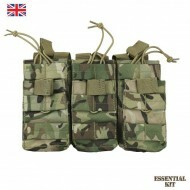 Made from durable 600D Cordura.